My deepest and sincerest apologies for the confusion that has occurred with this GFM. As we've all seen over the many years ... people often do a GFM to help them pay for their legal defense. *** PLEASE READ THE FOLLOWING - I WILL NOT BE WITHDRAWING ANY OF THESE DONATIONS IN THIS GFM UNTIL we retain an attorney to fight this terrible battle RE: LAW SECTION 1983 lawsuit ... defending our rights to speak out about the atrocities that we find so appalling at the NYC ACC Animal Shelters on all their public pages such as FACEBOOK - TWITTER and any other public avenues. In deleting our comments off their pages ... and more than often blocking people from any further commenting ... hiding behind this SMOKE SCREEN ... this STEEL WALL ... so that the public doesn't learn what's really going on behind their doors/walls. They've been superseding this Section 1983 law ... AND GETTING AWAY WITH IT. As per GFM ... we have 30 days from the start of this campaign to withdraw the funds into an account ... or they will automatically suspend the campaign. If for any reason we can't get this locked down ... EVERY DOLLAR WILL BE RETURNED TO EVERYONE! I will not allow anyone to lose monies if we can't get this situated. As well, you will be kept abreast of all updates. Much needed awareness and attention needs to be brought to the issues we find so horrifying, shocking, and tragic. The politicians, except for a small handful, if they listen at all, won't HEAR us ... they just want to continue believing the DOH/NYC ACC's horse and pony show. BLIND EYES/ DEAF EARS. People of wisdom KNOW that there’s ALWAYS 2 SIDES TO EVERY STORY ... and we, the advocates want our side, THE DARK SIDE, that we live & breathe daily, TO BE HEARD! Our politicians are allowing this organization to continue their inept operations ... equating to killing our wonderful DEFENSELESS HOMELESS ANIMALS. THIS HAS GOT TO CHANGE! –Albert Einstein: The world is a dangerous place, not because of those who do evil, but because of those who look on and do nothing. —Henry David Thoreau: It takes two to speak the truth: one to speak, and another to hear. The WORLD of advocates has been watching this ... AND networking our animals that ACC Animal Shelter is PAID TO DO BY OUR NYC TAX $$$. It's not done like this IN CITIES THAT CARE & KNOW BETTER ... cities that have the integrity & humanity ... who take responsibility ... and implement incredible systems & programs that save over AN ACTUAL 97%-99% of animals in their care (ACTUAL %'s, ...NOT SKEWED %'s). THE DEFINITION OF TRUE HUMANE EUTHANASIA is: killing an animal WHO IS SO ILL WITH NO QUALITY OF LIFE ... OR TRULY... AND I MEAN TRULY ... A DANGEROUS VICIOUS ANIMAL. That's IS NOT HAPPENING IN NYC ACC. NYC has become notorious worldwide for telling “UNTRUTHS” about its stomach-turning, repulsive shelters. They’re so revolting that there’s just no words strong enough to express it. - Mahatma Gandhi: It ill becomes us to invoke in our daily prayers the blessings of God, the Compassionate, if we in turn will not practice elementary compassion towards our fellow creatures. - Dr. Albert Schweitzer: The thinking man must oppose all cruel customs no matter how deeply rooted in tradition or surrounded by a halo . . . We need a boundless ethic which will include the animals also. NYC ACC animals are treated as a disposable commodity ... like their lives are worthless. They’re NOT! THEY ARE SENTIENT BEINGS who live, breathe, see, feel happiness, love, sadness, fear ... just as we do. - Charles Darwin: "There is no fundamental difference between man and the higher animals in their mental faculties... The lower animals, like man, manifestly feel pleasure and pain, happiness, and misery." The ongoing lack of professionalism, integrity, responsibility to those ACC are supposed to CARE for, improper employee placement, convoluted HANDS-OFF systems leaving it to the advocates to save these animals ... it all has to end! If it can be better, and we KNOW IT CAN, ... as it’s being done elsewhere ... one by one across our country ... then there’s no other correct moral and/or ethical choice to finally make this happen in what is supposed be the "GREATEST CITY IN THE WORLD". And VERY CRITICAL ... the PROPER MOTIVATION, CHOICE, AND INTENT. Of Wisdom, Moral and ethical integrity and responsibility, Humanity, Compassion, and Justice ... for every animal who is unfortunate enough to have to walk through these DISEASE RIDDLED Animal Shelter doors. - Leonardo da Vinci: The time will come when men such as I will look upon the murder of animals as they now look upon the murder of men. It’s going to take a village to change this living nightmare. If you’re truly disgusted and seek justice/change.... when you receive this go fund me page, PLEASE DONATE what you can & SHARE while remembering the atrocities that disturb, anger, and frustrate you ... (many listed below) so we can finally make this happen EVERY DOLLAR WILL HELP AND BE MORE THAN GREATLY APPRECIATED! - Albert Schweitzer: We must fight against the spirit of unconscious cruelty with which we treat the animals. Animals suffer as much as we do. True humanity does not allow us to impose such sufferings on them. It is our duty to make the whole world recognize it. 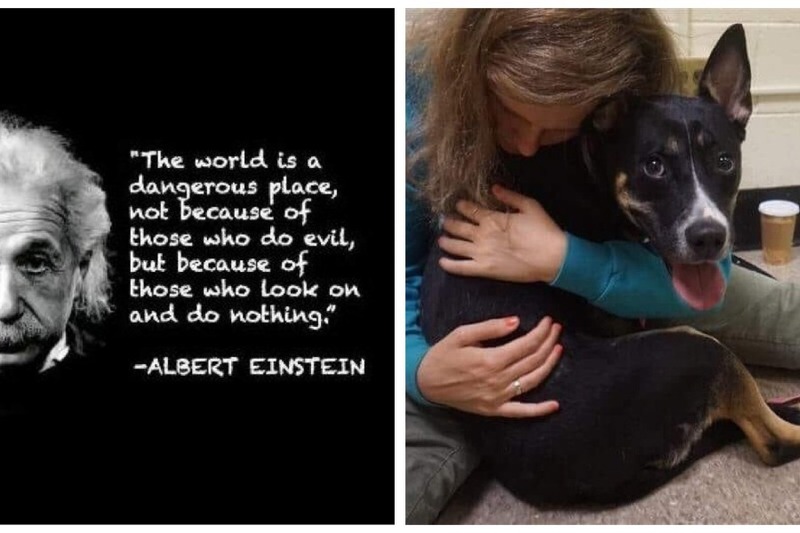 • Daily “AT RISK LIST” = Daily KILL LIST: list comes out at 6pm every night (except Saturday) and MANY animals not reserved, adopted, or “pulled” by a rescue organization by 12 noon the following day ... are killed. Less than a days’ time ... and predominantly overnight hours. 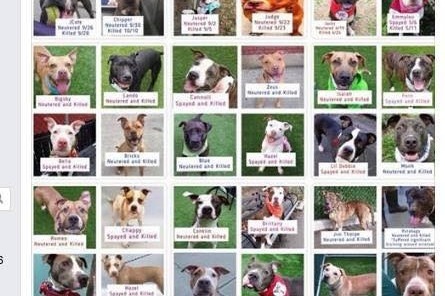 These sweet defenseless animals only have 18 hours before the NYC ACC ends their precious lives. • NO Direct Phone Contact for DAILY KILL LIST ... HANDS OFF PROTOCOL VS. HANDS ON in CORDINATING the proposed adopter with rescue organizations. NYC ACC is not involved. 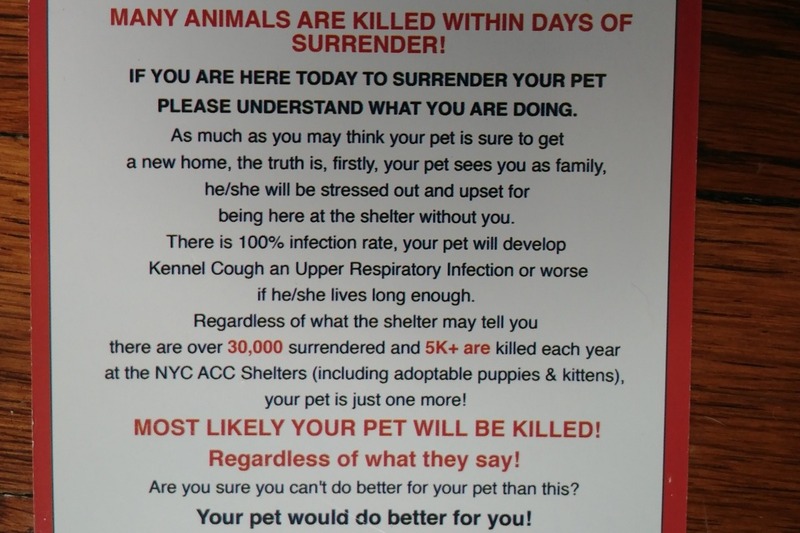 • SPAY/ NEUTER @ ASPCA ... TO BE RETURNED TO THE DISEASED SHELTER ONLY TO BE KILLED WITHIN 1-5 DAYS. WHO would put an animal through that operation ... only to kill him/her? - OUTREACH/ marketing to the public. - down to simple things ... such as their new website that is IN ENGLISH ONLY?! ... in the melting pot of the world. -AG GAG contracts that have to be signed by every employee and rescue organization that literally SILENCES EVERYONE ... for LIFE ... WHAT ARE THEY HIDING?! • Distance perimeters: ... why? ... it’s only relevant if they do home checks ... but they don’t. Why limit them by perimeters if their lives could be saved by someone outside those perimeters? Miami, for example, allows their animals to go wherever they can get a good home. -Behavior: EX: Killing a puppy for “leash biting”. This is what puppies do. Killing animals for being afraid in stressful, loud, foul smelling shelters ... I have no doubt we would all be afraid if someone was poking and prodding us, shoving us into cages, smelling death as well as everything else (they have an amazing sense of smell), the crying, the whimpering, the barking ... the list goes on and on. -Medical: EX: Killing for kennel cough equivalent to killing a child for having a cold. - Martin Luther King: The ultimate measure of a man is not where he stands in moments of comfort and convenience, but where he stands at times of challenge and controversy. – Martin Luther King: Our lives begin to end the day we become silent about things that matter. Again ... MANY many thanks! LET'S DO THIS ALREADY!!!!! —Margaret Mead: Never doubt that a small group of thoughtful, committed, citizens can change the world. Indeed, it is the only thing that ever has. Perfect – thank you for that confirmation, Judy. I’ve issued full refunds for your campaign, so your donors will each receive an email confirmation to let them know that they'll get 100% of their money back in 3-7 business days. I've also ensured that donations for the campaign are turned off, though the page remains up for viewing here. They, @ GFM, have been lovely to deal with. Please .. if someone does not receive their donation ... let me know. As I said I was going to .... I've just instructed GFM today to return all the donations to ALL YOU WONDERFUL DONORS. Unfortunately, one donor, one CRAZY ANIMAL ADVOCATE, who lives 1000's of miles away, ruined it for all of our poor defenseless animals as well as us. She thinks she knew it all .... had all the answers ... yet all she does is yelling capital letters behind a computer screen. She also, not only bad mouthed and misrepresented the attorney ... she bad mouthed me and called me a fraud. The only reason it bothered me is because it was so incorrect ... as INTEGRITY is key for me in life ... and ALWAYS HAS BEEN. For those of you who know me better, I believe that you knew I’ve always been a woman of my word. Your donations were always safe with me ... as I never did or had any intention of withdrawing a dime unless I was certain we had retained a wonderful attorney who would really be able to do the right job for us ... and blow NYC ACC out ... for the public to learn and be aware of what REALLY goes on at the NYC ACC Animal Shelters. I have something else "up my sleeve" ... something that the likes of this person won't be able to get near and ruin. So please keep your fingers, toes, and paws crossed. We definitely need all the luck we can get. As well, please always feel free to reach out to me in the ways I mentioned in the last update. I know I don't even have to say these words ... Keep fighting for our homeless babies. Bottom line ... and as my Mother always says, :) ... "THE LAST CHAPTER HAS NOT YET BEEN WRITTEN." Thank you so much to everyone! You're just wonderful. I can’t express my thanks enough to everyone who tried to make this happen. You’ve filled my heart ... and it will NEVER be forgotten. On Monday I will be telling GFM to return all donations to all you wonderful donors. I can't thank you enough for your kindness ... your efforts in trying to make this happen. We will continue to fight ... and work on other ideas to get the funds to do this lawsuit. I have something up my sleeve. In the meantime ... call/ email the politicians. If you need all their email addresses ... let me know ... on here or private message (PM) me on FACEBOOK under Judy Lynn Lustgarten Goldstein ... or TWITTER under Judith Lustgarten. And if you need a bullet point list of the atrocities ... again ... please don't hesitate to reach out to me. On August 20th I will be advising/ directing GFM to return all the donations to the donors as I had promised. If/ when we can get something firmly locked into place ... if you would like to participate/ be a part of it ... please let me know. You may reach out to me in a PRIVATE MESSAGE on FACEBOOK Judy Lynn Lustgarten Goldstein or on my Twitter account in a DIRECT MESSAGE: Judith Lustgarten. If you want to continue emailing the politicians ... please do! And feel free to ask me for all the addresses. I tried posting it here ... tho GFM won’t allow me to. I want to thank all you wonderful people from the bottom of my heart for all your help and effort in attempting to make this happen. 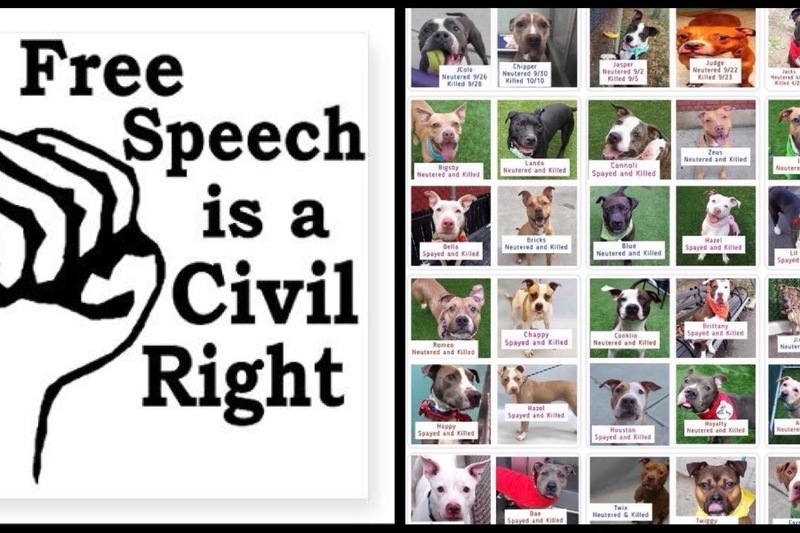 We will continue to fight for these babies ... meet with the politicians ... and see what we can creatively come up with to get changes and reform in this God Forsaken Animal shelter NYC ACC.